Largest settlement of its kind in Arizona history against a healthcare system over alleged Medicare fraud. Settlement in a case alleging fraudulent practices against a New York-based company in the sale of prescription medications to Medicare and Medicaid beneficiaries. Settlement of a case against a medical imaging company that evaded New York state and city taxes. Whistleblower lawsuits are on the rise as citizens help disclose cases of fraud against the government – and reap large rewards for their efforts. The cases cover illegal activities ranging from tax evasion to health care fraud involving Medicare and Medicaid. Successful whistleblower suits, also known as qui tam lawsuits, have also been filed in cases involving, but not limited to, defense procurements, underpayment of royalties (such as oil, minerals and gas from public lands), brokerage firm fraud, computer supplier fraud and construction cases. The firm also represented a whistleblower in a case that settled for $10.19 million against New York-based Sorkin’s Rx, Ltd., a/k/a CareMed Pharmaceutical Services, for allegedly engaging in fraudulent practices in the sale of prescription medications to Medicare and Medicaid beneficiaries. The whistleblower’s reward was $1.85 million. Also in 2018, Williams represented a whistleblower in a case that resulted in the hospice company SouthernCare Inc. paying nearly $5.9 million for wrongly billing Medicare for unnecessary care. The government claimed that SourthernCare Inc. placed patients who were not terminally ill into hospice, then submitted claims for that more expensive treatment. And most recently, in a settlement announced by the government in January 2019, Williams represented a pharmacist whistleblower who alleged that Walgreen Co. (“Walgreens”) submitted claims to Medicaid for stimulants such as Adderall, Ritalin, and Vyvanse without first verifying with the prescribing doctor that the medication was for medically appropriate treatment, as is required. Walgreen agreed to settle the Wisconsin case for $3.5 million. If you have information or evidence about fraud perpetrated against the government, you should call one of our whistleblower attorneys at 800-243-1100 for a free evaluation of the potential case. Kline & Specter, based in Philadelphia and handling whistleblower cases throughout the nation, has more than 40 highly experienced attorneys, several of whom have worked as government prosecutors or won large verdicts and settlements against major corporations. They are well-equipped to assist citizens across the United States in the process of filing claims under the U.S. False Claims Act or various state laws. They can also help ensure that plaintiffs receive their fair rewards from successful civil actions. -Jacqueline Bloink of Tucson, Ariz. 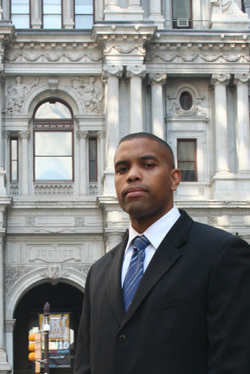 Among the Kline & Specter attorneys working on whistleblower lawsuits is David C. Williams, a West Point graduate who served in Iraq and a was awarded the Army Commendation for Meritorious Service and a graduate of the University of Pennsylvania Law School (Read his op-ed article in The Philadelphia Inquirer). For every IRS whistleblower claim, we consult with a former veteran IRS criminal agent in evaluating claims and reporting tax fraud to the government. With 30 years as an IRS agent, our consultant brings a wealth of knowledge not just to tax fraud cases but also experience in navigating the IRS bureaucracy to maximize the chance the government will act on our clients’ information. While many firms simply help complete the paperwork necessary to submit an IRS whistleblower claim, we bring our clients’ information directly to agents in the field and our consultant’s expertise uniquely qualifies us to assist the IRS in its investigations. It is important to file whistleblower lawsuits as quickly as possible since the government uses a “first to file” rule, meaning that the first person who brings suit against an entity allegedly defrauding the government is entitled to the government reward. Kline & Specter handles whistleblower lawsuits on a contingent fee basis, meaning the law firm gets paid a percentage of a reward plus expenses if – and only if – a suit is successful. If there is no reward, the firm receives no remuneration, not even for expenses that may have been incurred. Whistleblower lawsuits have flourished in recent years as they allow private citizens to sue on behalf of the government even though the individual has suffered no personal harm. The U.S. government has reaped more than $20 billion from qui tam lawsuits since 1986, when the law was bolstered, and whistleblowers have collected an average of roughly 16 percent – in some cases as much as 30 percent – of government recoveries. Among the more famous whistleblower cases, drug manufacturer GlaxoSmithKline agreed to pay $750 million in 2010 to settle allegations that it knowingly sold drugs with questionable safety. The whistleblower in that case, Cheryl Eckard, the company’s quality manager, was fired when she tried to address the issue. She later filed a qui tam lawsuit that exposed the practice. She was to receive a $96 million reward. Rewards in whistleblower cases vary widely. In 2008, for instance, hundreds of IRS cases were expected to bring rewards, including 228 related to cases of tax cheats owing at least $10 million each and 64 cases involving tax debts of more than $100 million. Kline & Specter has won many major verdicts and settlements in a variety of cases (see Major Victories). Click here to read the biographies of all of the firm’s attorneys (Lawyer Profiles), including partners Tom Kline, Shanin Specter. Call us at 800-243-1100 to speak with a whistleblower attorney today.